Review: The Primer That Actually Works! The product retails for £14.00 and you get 25ml of product which I feel is quite a reasonable price for a drugstore product that actually works! This does has a very obscure texture though, as it’s quite jelly-like with a silicone feel but it leaves the skin feeling so incredibly smooth! So, are the claims actually justified? I definitely feel like this product leaves my skin more matte and less shine appears in my T-Zone throughout the day. Particularly in the summer, my skin can get a little oily in this area so this is a really good aspect of this product! I don’t like a matte finish to my skin but I hate it looking oily too. This leaves it more of a satin finish which is something that I am really happy about! I can’t really comment on how it changes the appearance of my pores as I don’t have very big pores anyway. I can say that it does smooth out the skin so I can imagine it would be quite effective at blurring pores. My Mum does have some slightly enlarged pores so I will be trying this out on her at some point and I will let you know how it fairs! I have considered doing a FOTD ‘Mum Edition’ for when I do my Mum’s makeup, is this something that you may be interested in once in a while? In my opinion, the ‘hiding blemishes’ malarky is a load of rubbish! How on earth can a clear gel hide a bright red blemish?! This is one of the only claims that I feel is completely unjustified and fell pretty flat. On the other hand, I do feel like this makes my complexion look more uniform. It doesn’t look patchy or different textures, it all looks nice and even which is a big plus for me as it would be great combined with a BB cream on good skin days! The final claim is the best one for me personally, and that is the extending the wear of my makeup! I can honestly say that I have noticed a significant difference in the wear time of my makeup. By the end of the day, my blusher, bronzer are much more visible than before and my foundation is less patchy and still looks quite fresh. It is nice to still clearly be able to see the products you have applied at the end of the day, rather than it all just smudging into a big mess, which up until recently, mine had been by the end of the day! This is a great result for me as I have never really found a primer that has remotely effected the way my makeup looks or wears. I will be wearing this most days now it’s getting warmer to prevent my makeup from sliding around in the heat! I can really understand why this product has taken the blogging world by storm now as it is such a great quality product at such an affordable price! If you haven’t tried this, go into your local Body Shop and check it out as it is a real must have for your makeup bag this summer! I really need to try this! I have a tea tree one from the Body Shop but I didn’t feel like it did anything so I really need to try this one out! It’s such a weird texture but makes my skin feel so smooth! I might have to try it 😆 Thanks for the review. I’ve never tried The Body Shop’s makeup, but this looks like something I would definitely want to try! I was in Ulta tonight. Looking for a new primer. Was going to spend 36.00 on Clarin’s primer and the salesperson said… Nah skip it. So…. Guess I’m going to check this one and a few others out. 😊 have you tried Nyx pore perfector? 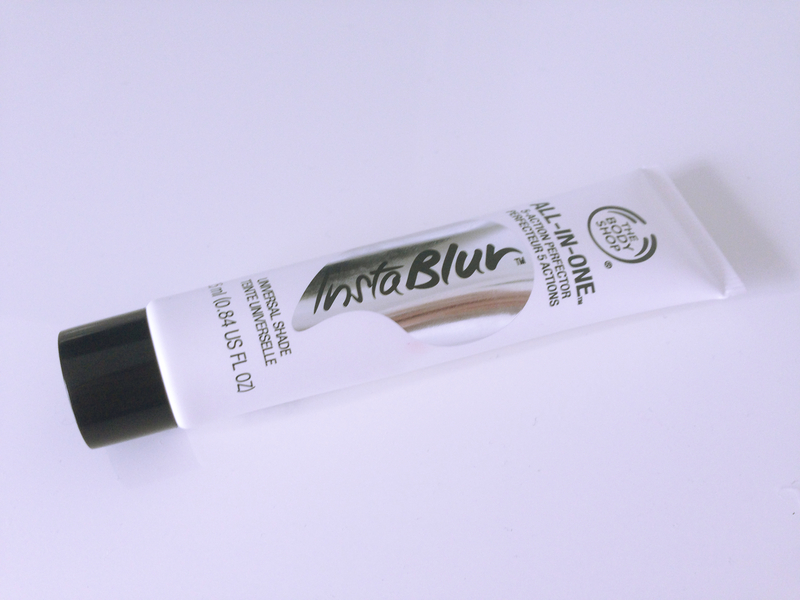 I’ve heard quite a bit about the Instablur primer…and I may just have to check it out for myself now. And I for one would love to see your mum’s MOTD!